Junior midfielder Ally Kennedy has been selected to the United States Women’s National Lacrosse Team to play in the President’s Cup next month. She will join recent Stony Brook Women’s Lacrosse alumna Kylie Ohlmiller along with 23 of the best women’s lacrosse players in the country. The President’s Cup will highlight over 300 teams playing from Nov. 16 to 18 at the ESPN Wide World of Sports Complex in Lake Buena Vista, Florida. Kennedy and Ohlmiller are the only players from Stony Brook to be named to the national team in the history of the program. 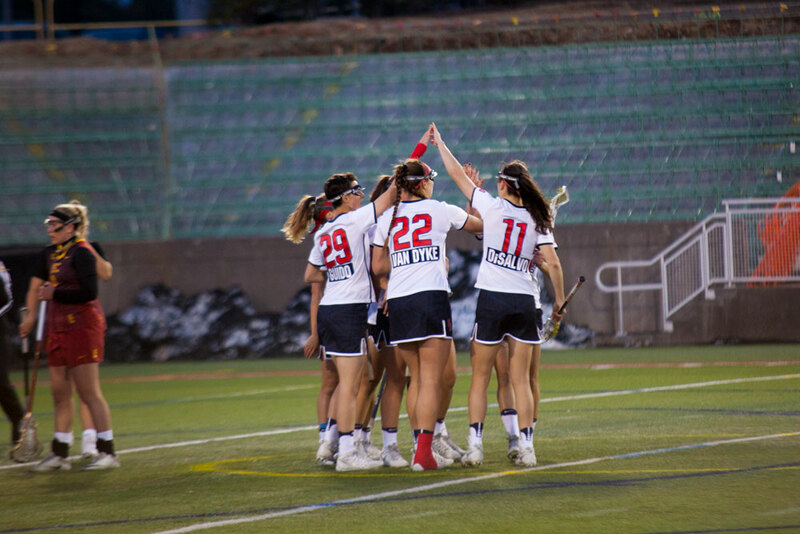 The national team added Kennedy due to her stellar sophomore year when she scored 69 points and was named America East Conference Midfielder of the Year. Kennedy also won other awards last spring, including first team all-conference and second team all-America honors. “I am extremely proud of Ally. She is an emerging star in this game and this opportunity is so well deserved,” head coach Joe Spallina said in a press release. Kennedy is only one of six players on the national team to still be on a college roster. She will be looking to carry her momentum from last season where she led the team with 47 ground balls, 61 draw wins and 13 caused turnovers. She was also able to achieve 14 multi-goal games. Her former teammate Ohlmiller scored 468 points and 246 assists in her four years at Stony Brook, both the most ever recorded in NCAA history. Ohlmiller also broke the NCAA single season records for both points (164) and assists (86) in her senior year, . Ohlmiller has an extensive list of accolades including being selected as America East Offensive Player of the Year, winning IWLCA All-Region First Team player and being featured as an Inside Lacrosse Division I All-American last week. She also led the Seawolves last year to their first No. 1 national ranking in program history. The U.S will play its first exhibition of the President’s Cup on Saturday, Nov. 17.